Hi! I'm Yetsey. I graduated with a Bachelor of Science in Mechanical Engineering and a professional Certificate in Aerospace and I'm about to complete a second degree in Electrical Engineering. I enjoy teaching Math and Physics as well as engineering courses such as Dymamics and Thermodynamics. I have been tutoring for over four years now and I have come up with innovative ideas to explain difficult concepts. My approach consists of designing problems that probe the student's understanding of concepts instead of their ability to use or memorize formulas. The subjects I have tutored include Pre-Algebra, Algebra I & II, Geometry, Trigonometry, Statistics, Precalculus, Calculus, Differential Equations, Linear Algebra, , and College/Engineering Physics to students from Elementary, Middle, and High School as well as college-level students. I have also tutored core Engineering subjects such as Statics, Dynamics, and Thermodynamics, and have prepared students to take exams such as the SAT, ACT, ACCUPLACER, GED, and AP in the areas of Math and Physics . I have learned to work with different age groups and to adjust my teaching strategies accordingly. When I teach Elementary or Middle School students, I provide them with interesting problems to capture their attention and to show them the connection between theory and practice. When I tutor High School students, I provide them with better techniques to solve the most difficult problems and to increase their confidence. And at the college level, I check the students understanding of ocre concepts with carefully crafted problems. In any case, my number one priority is to make sure my students understand the material and feel comfortable applying it to practical situations. My tutoring approach have resulted in a substantial improvement in my student's performance in school. More than 90% of the students I have tutored, report a significant improvement in their grades, sometimes from Ds and Cs to As. Besides that, they report feeling more confident on the application of the material to practical situations. My job is to make sure every student gain the knowledge and confident necessary to be successful not only in their courses, but also in their future careers. To that end, I work hard with my students and provide them with the necessary resources to succeed. They can easily reach me and and my response time is about two hours. If you believe I'm a good fit for your child or for yourself, please feel free to contact me. I'm a mechanical engineering graduate and senior Electrical Engineering student with a lot of experience teaching Math and Physics. I have tutored Algebra 1, Algebra 2, Calculus, Trigonometry, and other courses related to Mathematics, Physics, and Engineering. I have trained many students from different age groups (Elementary, Middle and High School up to the university-level) and my teaching methodology have contributed to their success not only in their classes but also in passing tests such as the ACT, SAT, and GED. My teaching experience and science background, I believe, makes me an excellent candidate to homeschool students. 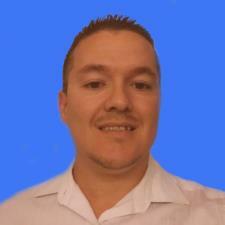 Mechanical and Electrical engineer with over 5 years of experience teaching math and physics courses. I am a Mechanical and Electrical engineer by profession, which involves Calculus. I am a Mechanical and Electrical engineer by profession, which involves Physics. I'm a Mechanical and Electrical Engineer with over 5 years of experience preparing students to Ace many exams, including the SAT. I'm a mechanical engineering graduate and senior Electrical Engineering student (in my last semester) with a lot of experience teaching Math,Physics, and Engineering courses. Related to Electrical Engineering, I have experience tutoring Control Systems, Circuit Analysis, Statics, Dynamics, and C++Programming. I feel comfortable teaching these subjects and I would love to transfer this knowledge to other students. I obtained a Bachelor of Mechanical Engineering (2018) with a Professional Certificate in Aerospace and I'm currently finishing a second degree in Electrical Engineering (6 credits left for graduation). Aside from these degrees, I have over 4 years of experience teaching Math, Physics, and Engineering subjects to many students from different age groups from Elementary, Middle and High School up to the university level) and my teaching methodology have contributed to their success not only in their classes but also in passing tests such as the ACT, SAT, and GED. I obtained a bachelor's degree in Mechanical Engineering and I will soon obtain a second degree in Electrical Engineering. I have also tought math and physics extensively to the point where I have developed effective techniques to explain difficult concepts in an easy-to-understand way.